Large user panel: Easy to read and clearly shows the menu, cooking time remaining, heat setting, and when the unit is gaining pressure; cooking; in auto keep warm or delay start mode. 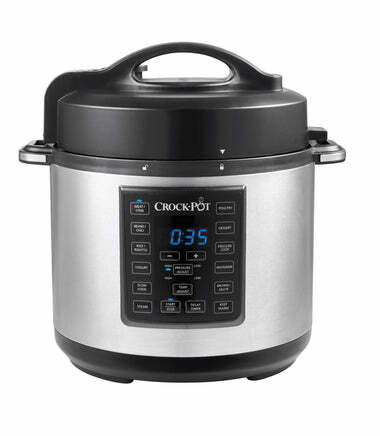 Slow cooker settings: Low for simmering and slow cooking. High for faster cooking. Auto keep warm keeps your food warm, ready for serving. Rice cooker setting: Generous 12 cup capacity with auto keep warm.